Somnath temple is one of the Jyotirlingas of God Shiva in India. 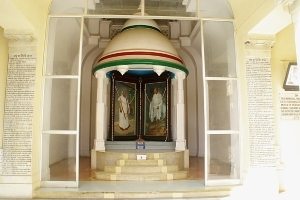 This temple is located at Sea side at west coast of Gujarat State. List of items not allowed inside the temple. West belt, Mobile phone, Camera , shoes. There are free stalls available to deposit your shoe and other items. Lockers are available to keep your camera and phones before entering to temple complex. The light path stretching without obstruction up to the south pole over the end of the ocean. Arati timing at Somnath temple. Outside the main temple complex there is a large display board where you can have clear view of the Shiva Linga inside and watch Arati. After visiting the temple you can walk around the main temple and see the exhibition of famous Shiva temples including all Jyotirlingas around India. This temple is provided with elaborate security arrangements from all corners of the temple. All devotees are passed through security check before entering into main complex. Somnath is also known as PRABHAS TEERTH. 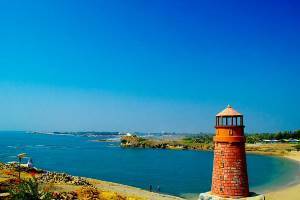 This place is located at Sangam of three rivers known as Triveni ghat. Around the temple complex you will be approached by several Auto drivers offering you local trip to various temples and pilgrim place. Taxi will charge nearly Rs 150/- per head. It will take nearly two hours to cover all these places. At Bhalka Tirth Lord Krishna got hit by the arrow on his feet fired by Jara Savara , who has mistaken his feet at ears of a deer. A beautiful image of Lord Krishna sleeping below a tree with Jara Savara is on display here. Lord Krishn elder brother Sri Baladv Ji who was the incarnation of Sheshnag ( Snake king ) has vanished through a cave located near Geeta Mandir. 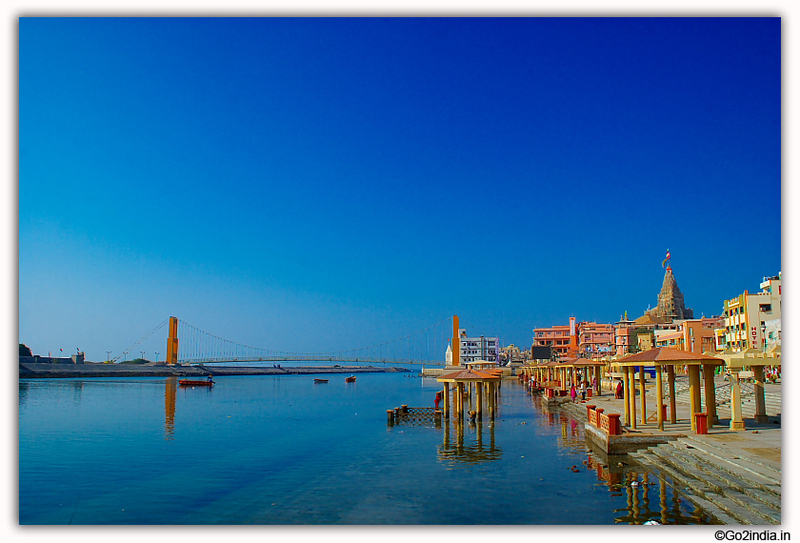 FootPrint of Lord Krishna is one of the sacred place for all devotees. Where to stay at Somnath. There is a complex maintained by Somnath trust and you can book online for accommodation. Close to the temple in narrow lanes there are several budget hotels available. You can walk to temple from here. Identity proof is required in all hotels. Hotel will retain one copy of your identity proof. There are three hotels maintained by Shri Somnath trust. Two budget hotels LILAVATI ATHITHI BHAVAN & Shree Somnath Maheswari Samaj Atithi Gruh are located in front side of the Somnath temple ( Rs 600 & 700 ). 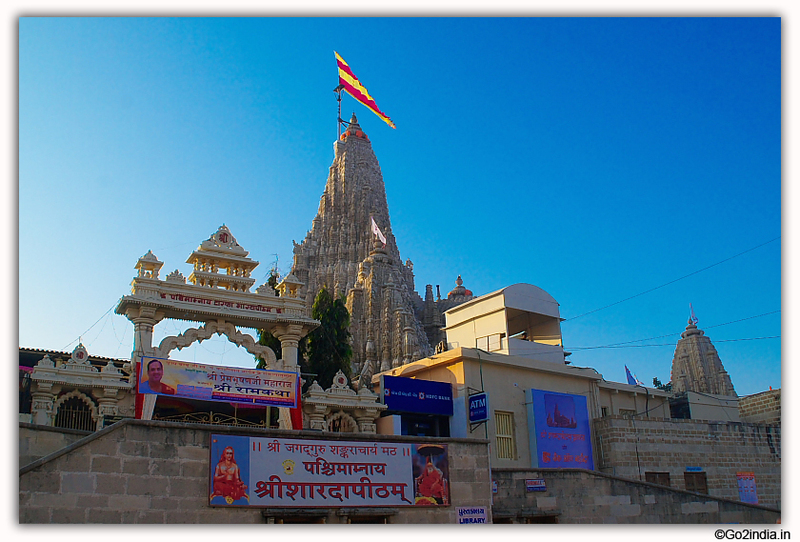 The third one Shri Sagar Darshan Atithigruh is the best location and hotel to stay at Somnath. At a price of Rs 1500/- you will get specious rooms with all facilities. All rooms have sea facing balconies. Just at the back side of the temple you can easily walk into the temple complex. 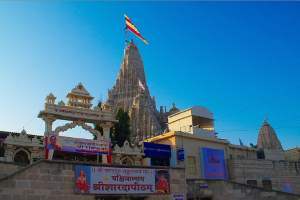 As you will be passing through the temple area take the vehicle pass by showing your booking receipt at the reception counter of Somnath trust at front side of the temple. You can watch sunset from your room balcony. Planning a trip to Somnath ? Somnath darshan is best at morning but stay near temple in evening hours to see Sunset in Arabian sea. Then immediately rush to temple to witness the Arati at 7 PM. If you are not able to enter inside the main hall then watch Arati at big electronic display board kept outside. Then take a ticket and watch sound and light show . This show will end around 8.45 PM. Railway station is just 20 minutes drive from here. Return to your hotel or visit railway station after this. Connected by rail and road from main cities of Gujarat. Overnight buses available from Ahmedabad and Dwarka. 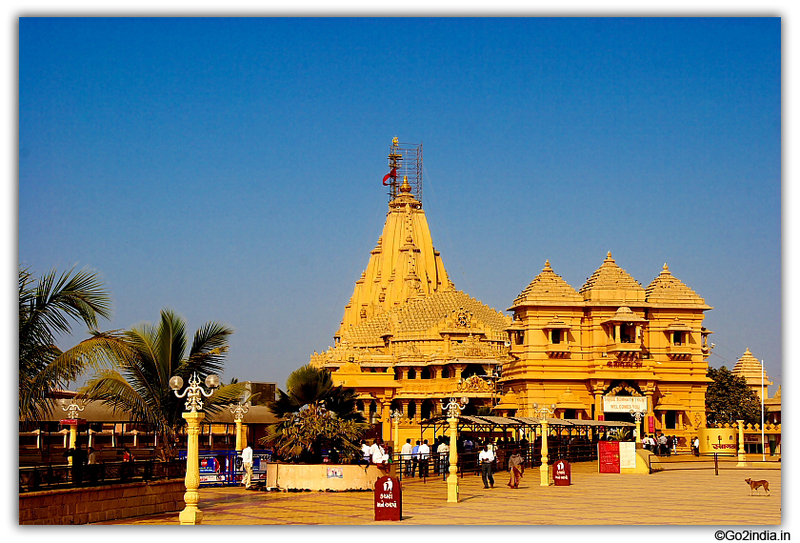 Devotees and tourist visit Somnath before or after visiting Dwaraka temple. There are direct trains from Ahmedabad to Somnath. Jabalpur Express (No : 11466 ) reaches in evening at Somnath. If you are travelling from Dwarak side then Okha - Somnath express ( Train No : 19252) leaves Dwarak at evening 8.30 and reaches morning at Somnath. 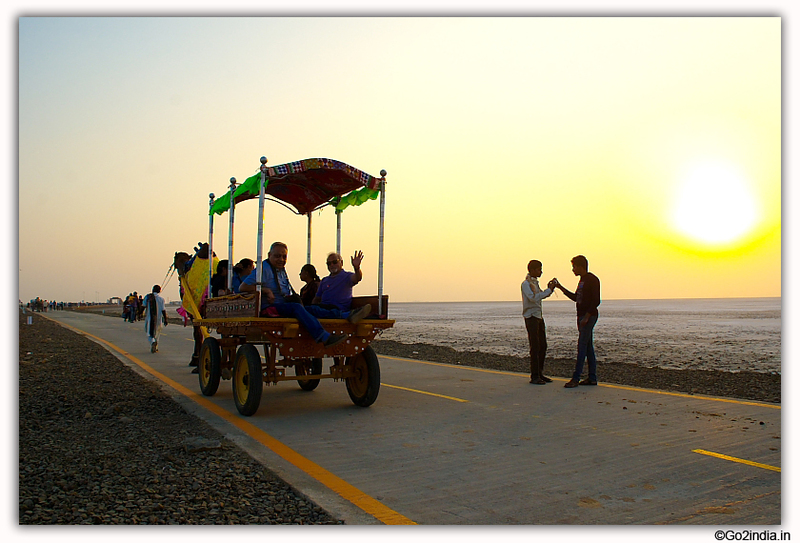 There are plenty of Auto - Taxi available at Somnath and Veraval station to take you to hotels or temple. One night stay is advisable. However if you are reaching in the morning hours then you can plan your return journey in evening or night. For photography morning time is best as sunlight falls on temple. However you can take photo of sunset along with temple here. 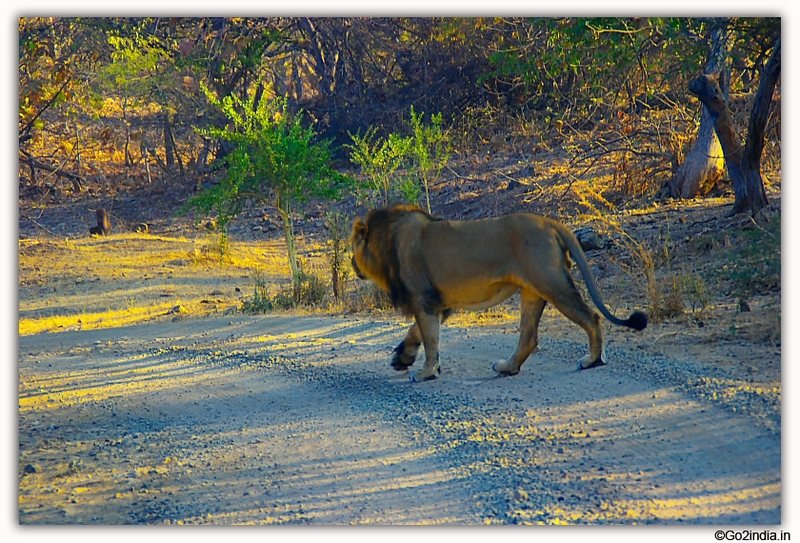 Take a day trip to Sasan and visit the Asia largest Lion habitat. 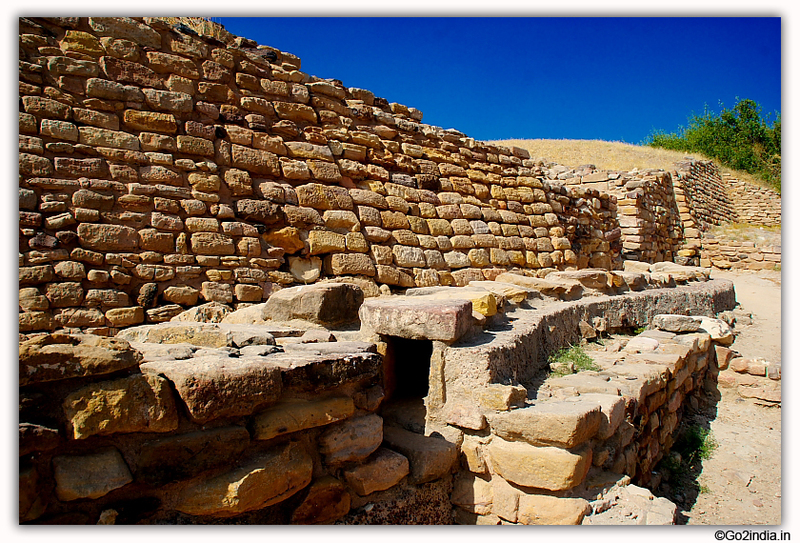 Sasan is one hour journey from Somnath. You can book online for your jeep safari. Bus starts from 8 AM till 11 AM and in afternoon starts at 2.30 PM to 5 PM. Duration of the trip is one hour. Wednesday no bus service is available.